Why Are There Leaves On My Property in January? We’ve been fielding phone calls from property managers the last couple of weeks about leaves collecting on their grounds. Wasn’t the leaf cleanup completed in fall? Why are there stray leaves on my property now? What can we do about it? Let’s address why you’re seeing some leaves on the ground in January, and how your commercial property can be cleaned up now if necessary. Leaf cleanup was completed November 30. Annual maintenance contracts begin April 1 and include service visits through November 30, when our crews transition to snow and ice management. Our crews are on your grounds periodically in December until year-end to handle minor cleanups. (Get the details on what to expect from fall leaf cleanup.) We’ll never leave a property full of leaves because of a contract end date. However, when you confirm your contract for the next season before year-end, you can rest assured of no gap in your landscape service. Leaves fall in the winter. While the majority of leaf drop occurs during autumn months, leaves can hang on trees longer when we have a warm fall like we did this year. Some trees like Pin Oaks require cold weather, precipitation and wind to lose their leaves. Every year, we go into winter with some trees retaining leaves. We know these leaves will drop in winter. They always do. Snow usually covers up stray leaves on your commercial property. So, you generally don’t notice the leaves that drop gradually throughout winter months or that blow on to your property. The fact is, we are more aware of leaves on the ground in January this year because we can see them. Our weather in Northeast Ohio has been warmer, and we have not yet experienced the snowfall that was predicted. How can we address leaves on our property this winter? Have you signed a landscape maintenance contract already? If so, your Client Care Specialist can arrange for leaf cleanups as necessary, while the weather is cooperating. This is a win-win because leaves will be addressed now and less spring cleanup will be required to prepare your lawn for the growing season. We encourage you to complete the annual maintenance contract process now. That way, our crews will visit your property on a regular basis. If we see leaf cleanup that should be addressed, we’ll take care of that this winter while there is no snow on the ground. We’re here to give you honest answers to your questions. A property that was clean and clear of leaves in November will naturally have leaves on the ground by January. That’s the nature of leaf drop, and we’re more cognizant of these leaves this year than in the past. 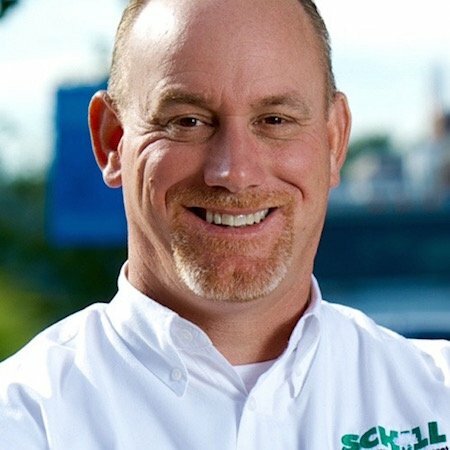 You don’t have to wait for service when Schill Grounds Management is your year-round partner. Since we’re on the topic of landscape tasks that can be handled now, our crews are out in the field this week doing dormant pruning. Find out what to expect from a quality landscape professional—check out our free resources. And, if you still have questions, don’t hesitate to call us at 440.327.3030 or fill out this contact form and we’ll get in touch with you.